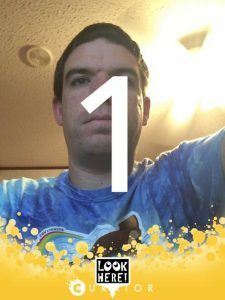 After the user has made their selections in the Pixbooth App, the countdown for taking the picture is initiated. 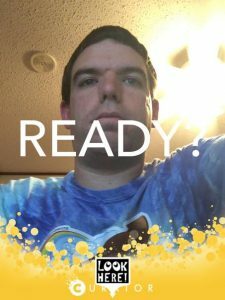 When the countdown for taking a picture is initiated, it will start with a “READY?” prompt, followed by the countdown in seconds before taking the picture. Both the amount of time the “READY?” prompt stays on the screen, as well as the number of seconds in the countdown, can be adjusted when creating or editing the event in Curator. If there is more than one picture is to be taken in a session (such as in gifs or multi-picture layouts), the countdown will start again after the screen flashes, and this process will repeat for as many pictures as are needed. If the picture is a boomerang or burst image with a lot of frames, the live view will freeze briefly on each frame it captures until the number of frames required is reached. A “LOOK HERE!” prompt will appear on the screen during the countdown, directing attention toward the camera regardless of how the device is oriented.